Bertrand ‘ElkY’ Grospellier has won his first competitive Hearthstone competition since joining Team Liquid. He topped a field of 69 players in the Insomnia Truesilver Championship Redemption Cup at the Birmingham NEC. Bertrand ‘ElkY’ Grospellier first cashed in a live poker tournament in February 2015 finishing ninth in a €550 side event at the European Poker Tour (EPT) festival in Deauville. He earned €2,000 for his efforts. 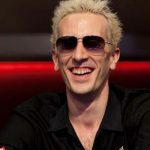 Since breaking through the live tournament cash hymen, ElkY has gone on to repeat that feat a further 104 times, making an astonishing $10.9m, and winning some of the biggest titles in the game. 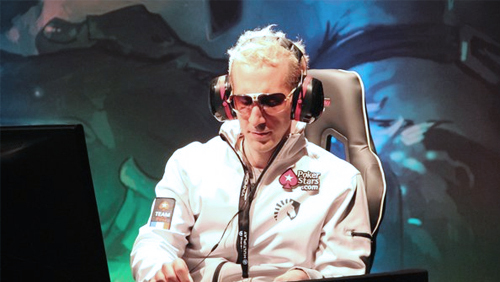 This weekend ElkY won his first competitive Hearthstone competition since signing for Team Liquid in Nov of last year, when he defeated 69 players to win the Redemption Cup at the Insomnia57 festival in the Birmingham NEC, UK. Like that first poker cash at EPT Deauville, this event was also a side event. ElkY was in town to compete in the Truesilver Championships II but failed to make it out of a heavily competitive Swiss bracket. Undeterred, the only player to represent poker and eSports professionally, jumped into the 69 player field Redemption Cup and took the lot. It didn’t start well for the Frenchman. He turned up an hour late after a time zone mix up and was punished with a 3-0 wipeout in his first event. That would have broken the back of many competitors, but not ElkY. The Team PokerStars pro won the next five consecutive games to sneak into the last eight in eighth place. His eighth-place seeding meant he had to face off against the top qualifier IvanFloch in Round 1, but came through that with ease winning by 3 v 1. Ersee was next up in Round 2, and ElkY sent him packing with a 3 v 2 win and then beat Greensheep by 3 v 0 in the final. So how much did ElkY win? The first prize was £1,000 and would you believe it he has never earned a prize that small in all 105 poker cashes. But ElkY isn’t in this game for the cash. He plays the game because he loves it. ElkY wasn’t alone in Birmingham. A film crew from Insight.tv. were on his back. 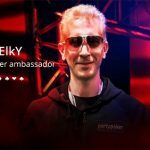 According to that same interview, ElkY said the film crew had been following him for the past 3-months, and that the channel was following ten poker players to gauge a deep inside into their lives and habits. Fellow Team PokerStars Pro George Danzer was also competing at the event that has been running for the past 17-years.